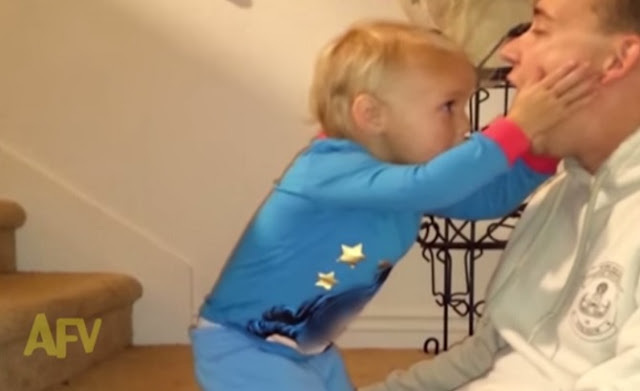 This cute clip shows the wonder of young children and magical thinking. Where did that plastic centipede go? One of the first cognitive tasks of a child is to learn to trust. The world is a crazy place and the brain wants to make sense of everything that is experienced. Infants begin to develop a trust relationship with caregivers very early on. Sometimes this is referred to as an attachment. A child with a secure attachment learns to trust that parents will respond to needs. A secure attachment extends to include the confidence that parents will give good explanations for what is experienced. This trust is essential to any kind of learning whether that be at home, in school, in church, or anywhere important to the child. A child without trust is a child who’s brain finds it difficult to learn. Magical thinking is aided by this trust. Young children have a less developed sense of logical thinking. They tend to believe what they see because they cannot access the abstract thinking necessary to imagine something else – in this case the possibility that Dad has learned a clever trick. As this young one gets older she will begin to suspect there is another explanation and then the “magic” becomes a fun game. Emotional trust muscles need to be exercised on a regular basis. Children need to know they can trust their parents to respond to their needs (ahem, put the phone down if your child is near). They need to know that you will continue to love them even when they do something wrong, or something bad happens. They need to trust in that relationship you are building with them. Teaching your child to trust in Jesus is also important. Anxiety levels rise when we believe we are in control of our lives. Quickly we learn that we cannot rely on ourselves to make things turn out okay. Children who trust in God will move through life with more confidence that they have help and that someone wiser than themselves is in charge.